Bang on time Exol Pride woke us up. Mick last night had added a spring line to our mooring ropes so it wasn’t until she was alongside that we noticed her. A shame as I’d wanted to see what draught she was on her bow now that she was empty. As we had breakfast a C&RT crane boat that had joined us yesterday pulled away heading for the lock. Then late morning it was our turn to refill the lock, fill with water (She must have been empty when we got her!) 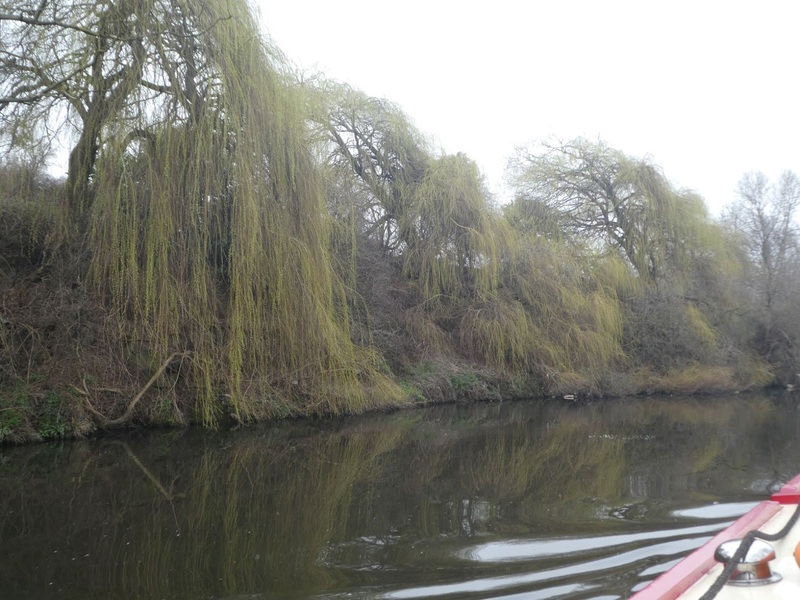 and then make our way down onto the river. 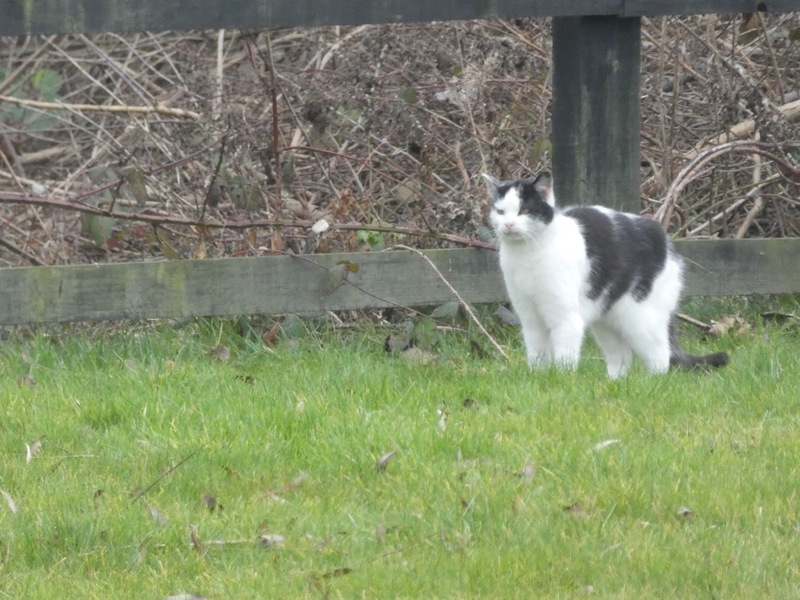 The local cat did it’s rounds whilst we waited for our water tank to fill. I wonder if she gets the same rules that Tilly gets when she goes out? After Eastwood Lock all the locks are set to refill themselves so on arrival all you have to do is open the gates, much quicker than going up. 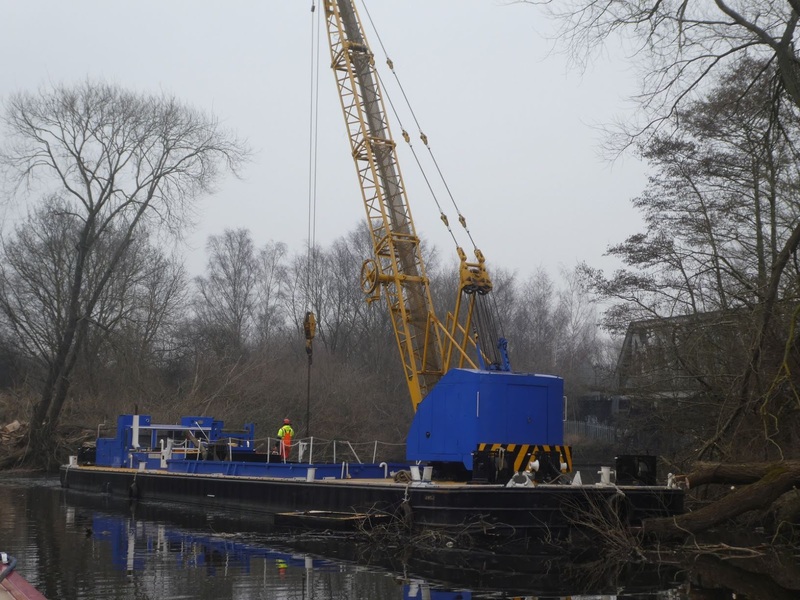 Quite a few river sections today and on one bend we found the crane boat. Luckily the boat was big, blue and yellow and we could see it from quite a distance. Tied only at the bow the boat was across the river. It looked like they were removing large trees that had been damaged in a storm and craning them to the other bank. We bipped our horn to gain their attention and the chap at the helm swung the boat round giving us enough space to pass round their stern. Kilnhurst Lock was level through, we just had to open and close the gates at both ends. I wasn’t quick enough to beat Oleanna to the bottom gates so she had too tread water for a while. Weather wise we were back to normal temperatures and greyness for the end of February. Layers had been added this morning and at times as we cruised we wondered if we should have put waterproof trousers on as the sky started to leak a touch, luckily it didn’t come to much. Mexborough Top Lock was empty, which was a bit of a surprise. The top sluices were closed and one at the bottom was partly up, it didn’t move when I turned the panel on. As we were exiting the lock a couple of C&RT chaps turned up. 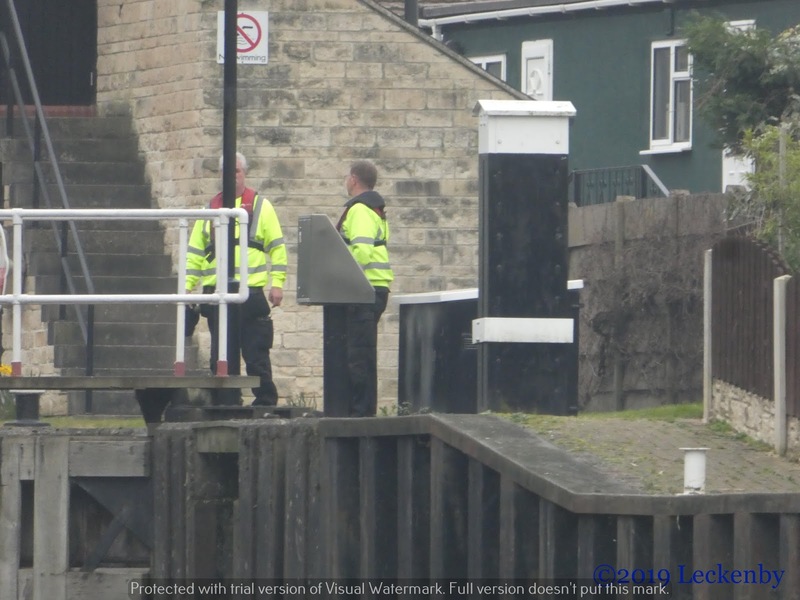 First they were looking at a light above the lock then at the stuck sluice. Chatting to one of them he hoped it was just that the panel (not knowing the correct term) that covers the opening under water had come off. This would require the divers to come out and reattach it. If it proved to be something else then stop planks would be needed to isolate the sluice, drain it and then he’d get to walk in to see what was up. He isn’t keen on doing such things. 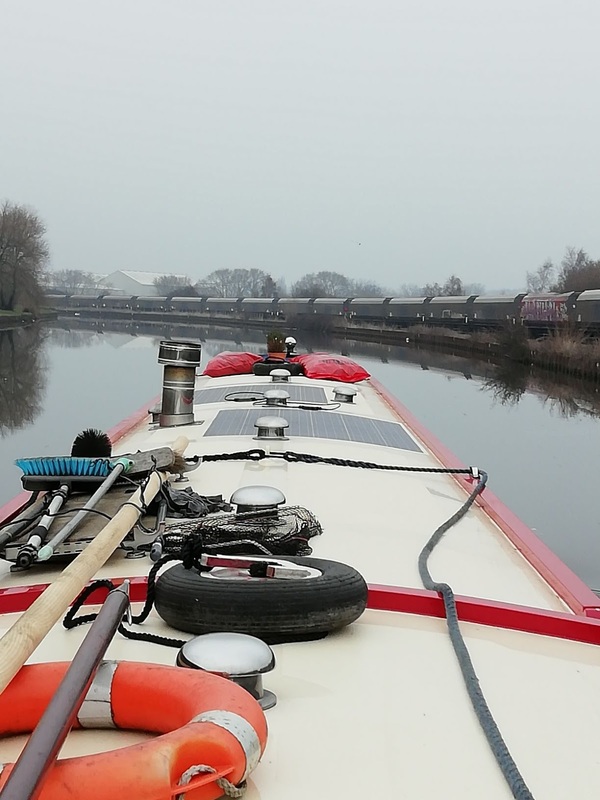 We left them still looking at the light and pootled on to above Low Lock where we winded and moored where we’d been two weeks ago. Tilly got the run of the Meadows and brought back friends to introduce to us. We finalised our shopping delivery for the morning and I got on with some more sketches for Separate Doors 3 whilst warming up in front of the stove. Whilst in Sheffield we’d let the stove go out and when we needed heat we’d put the Alde boiler on. 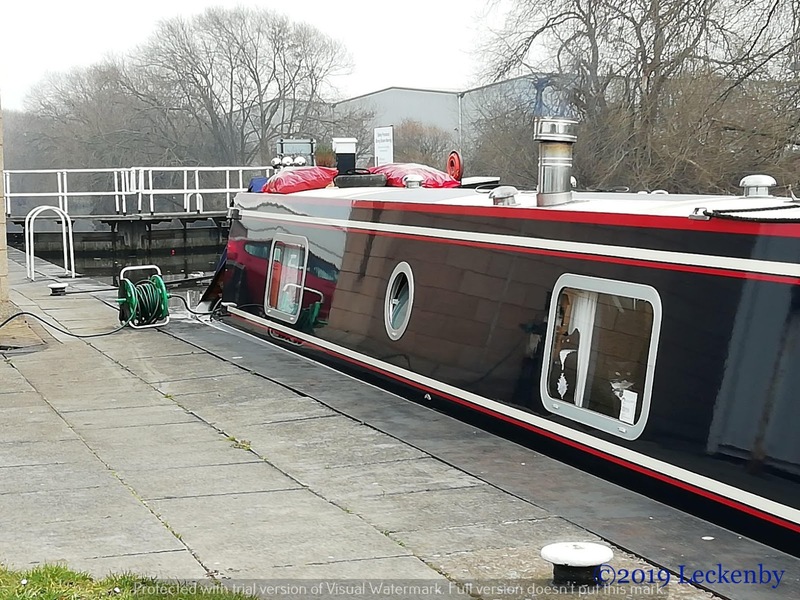 Being hooked up, with electric included with our mooring fees, we could run it off the electric saving coal. But the stove is so much nicer, it also means we can have jacket potatoes too. 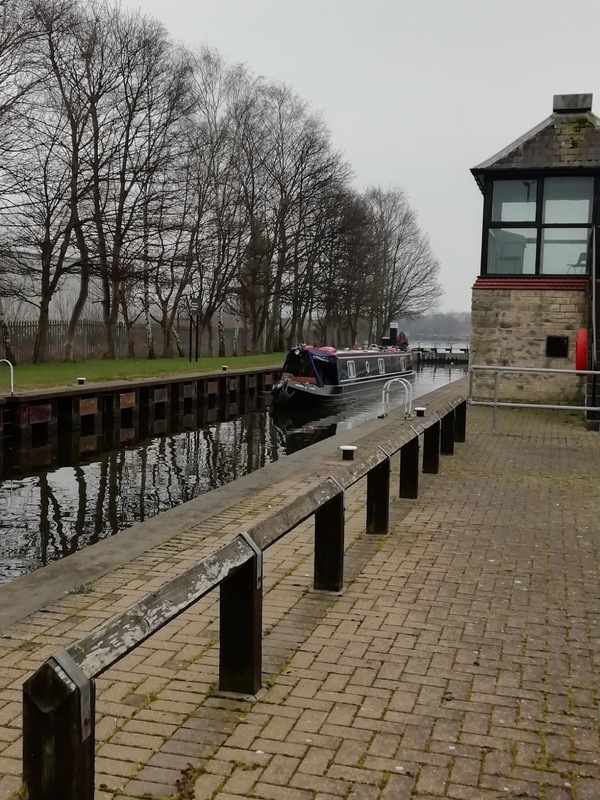 5 Locks, 6.5 miles, 2 winds, 1 full water tank, 1 cosy boat, 2 pairs gloves, 3 short showers, 1 long train, 1 faulty sluice, 1 offer, 1 plan made, 3 hours, 2 friends, 1 attempted introduction, 6 more sketches, 1 commission almost finished. This entry was posted in Uncategorized on 2nd Mar 2019 by pipandmick.